As alluded to in Sportsman’s initial comment on the 2018 harvest published in September, Frontier started releasing data on this year’s cereal quality at the end of July. Now in November, we have received the final dataset and have a larger set of results to use to assess the quality of this year’s harvest. We have been tracking the results as the data was received and ensured that the nutritional value of the cereals used in feed has been properly accounted for to maintain the quality of our feed. Now that the harvest is complete, we can summarise these findings. 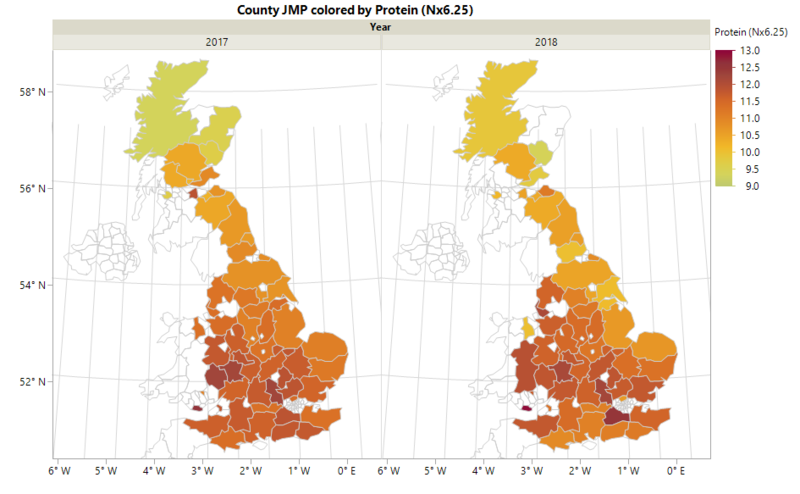 Overall, the protein content of wheat is similar to last year’s harvest, with some variation throughout the regions - see Figure 1. 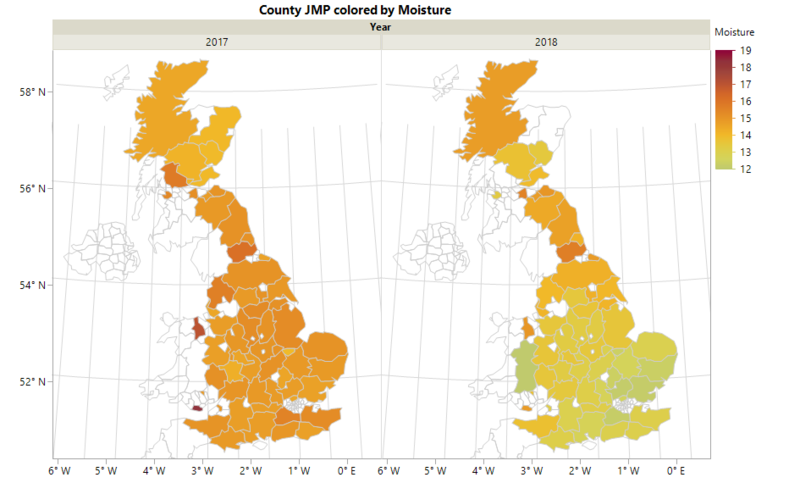 As would be expected given the warm summer we have had, wheat moistures are lower than the 2017 harvest, except for Northern Scotland where the moisture level has increased (maybe also not surprising) - see Figure 2. Specific weights (bushel weights) have also increased, particularly in the south of the country and Scotland, likely as a result of the lower moistures. As mentioned previously, the mycotoxins of considerable interest are zearalenone (ZEA) and vomitoxin (DON). In the current 2018 cereal harvest results, levels of both these mycotoxins in wheat and barley are low. All reported mycotoxin levels are below the guidance values in cereals stated by the European Union Commission (2006/576/EC) and not of concern for poultry. Sportsman customers can have full confidence that the cereals used in their feed have undergone critical review and have been selected on their nutritional merit to the bird.